Scarves are wonderful accessories. A silk scarf is the perfect complement to a beautifully tailored suit or dress. 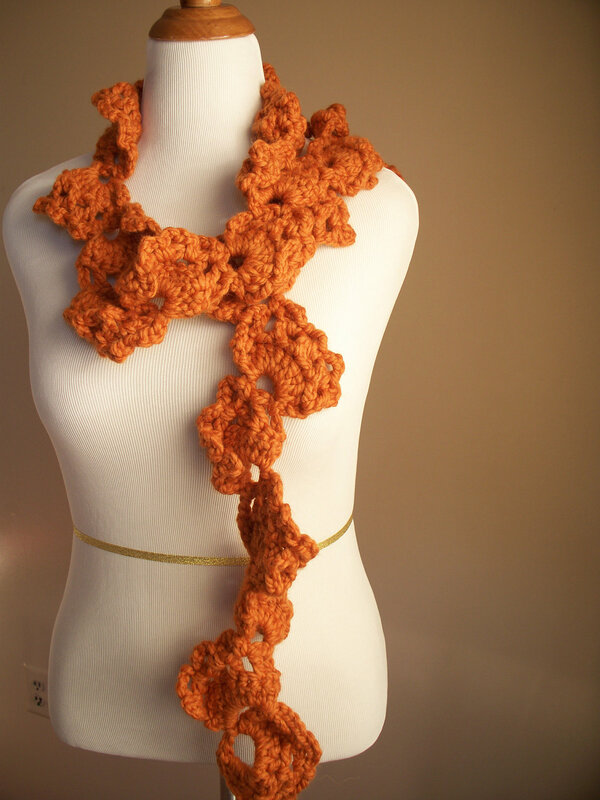 A light-weight crocheted scarf is great for chilly autumn days when you are out and about running errands. Heavy scarves, crocheted from thick, wooly fibers, are a necessity when the hawk is on your back. A coordinating hat is a nice touch, but that’s a topic for another post. I am a firm believer that one cannot own too many scarves. The right neckwear can change a ho-hum look into a fantastic fashionable outfit. I am a scarf collector, of sorts. I love long scarves, short scarves, cowls and neckwarmers. 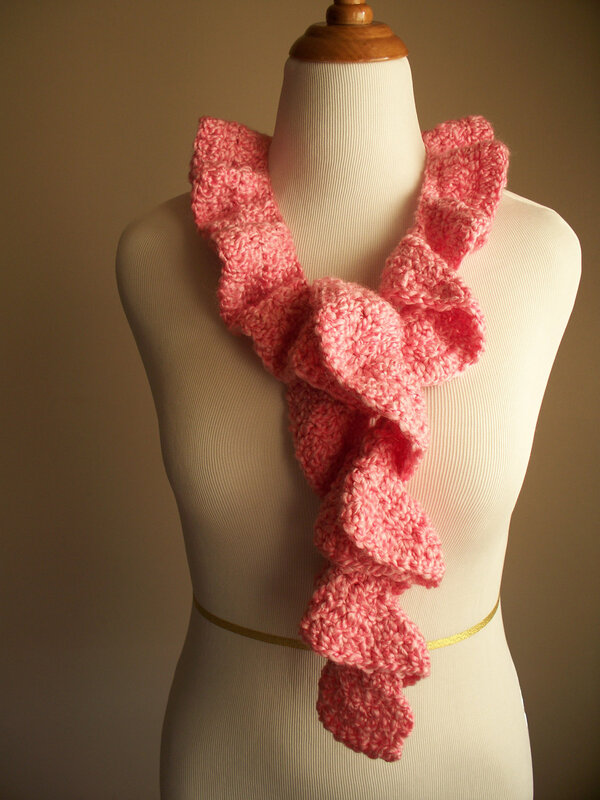 A scarf crocheted in the right color (I like pink) can complement skin tone well and bring the appropriate amount of attention to the face. I am also a scarf giver. Many of my friends and family members can attest to that fact and point to a scarf that I crocheted for them as a present. A few scarves are in the Etsy boutique, as well. The photo reflects a small sample of the scarves that currently reside in my home. They belong to my husband and me, but mostly to me! Now, I’m off to my next crochet project. 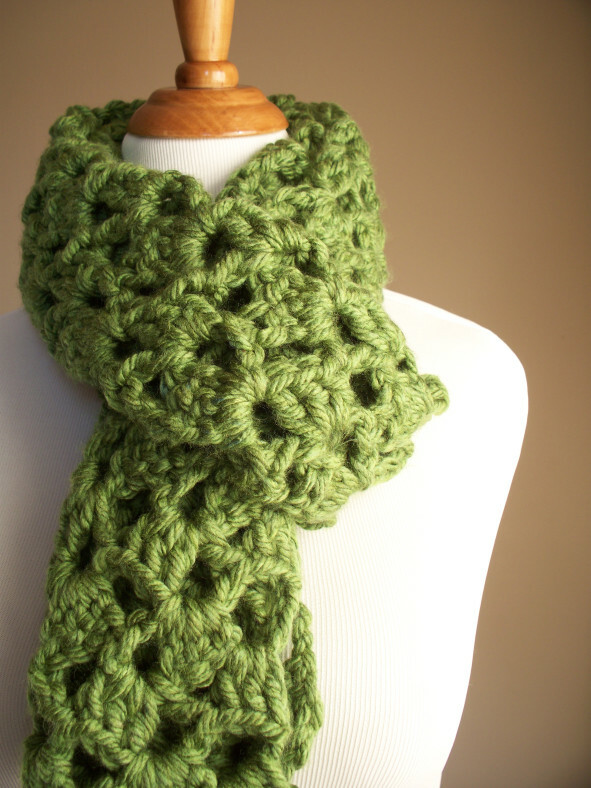 Maybe, I will crochet another scarf. Previous Post It’s “I Love Yarn” Day!